In 1500 AD, the Bantu Chikuyo Chisamarengu ruled Mutapa kingdom in northern Zimbabwe and Mozambique. African traders sold gold, ivory, seashells, and animal skins – even the occasional giraffe! – at big fairs. They also sold people into slavery. Arab traders like the Muslim sultan Musa bin Ba’ik bought these things and people and took them down the rivers to the coast, where they loaded them on to ships to sell in India and Iran and Egypt. The Arab traders brought back Indian medicines, steel, and cotton cloth, Egyptian glass, and Arabian horses to sell to Mutapan people at the fairs. Arab traders got rich trading like this. They got so rich that other people wanted to take over the trade. In that same year, 1500 AD, the Portuguese admiral Vasco da Gama attacked the seaports of Mozambique (Vasco da Gama called the coast “Mozambique” after Musa bin Ba’ik.) Musa bin Ba’ik lost control to Vasco da Gama, because the Portuguese used a new weapon, cannon, that Musa bin Ba’ik didn’t have yet. So then the Portuguese went to the fairs instead of the Arabs. Portuguese traders tried to conquer Mutapa itself, so they could also control the gold mines, but the Mutapans fought them off. In 1561, the first Jesuit went to Mutapa, but the new ruler, Negomo Chirisamhuru, killed him. And when the Portuguese soldiers went to Mutapa they got sick and died (maybe from malaria or typhoid). So Chirisamhuru kept ruling Mutapa, while the Portuguese traded on Mozambique’s coast. Most of the Mutapan people were farmers. Some worked in gold, iron, copper, and salt mines. Others were blacksmiths, or priests. 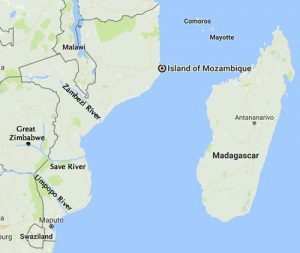 Portuguese traders brought new plants to Mozambique. Brazil and Mozambique were about the same distance south of the equator, so they could grow a lot of the same plants. Portuguese traders brought corn and yuca root, chili peppers, sweet potatoes, and peanutsfrom Brazil to Mozambique for African farmers to grow. And they brought bananas, rice, coffee, and sugar from East Africa to Brazil to grow there. During the 1600s and 1700s, the rulers of Mutapa kept right on trading with Aurangzeb and the Mughals in India, using Portuguese ships. Starting in the 1770s, Portuguese traders started to sell a lot more enslaved people from Mozambique. They sold many people to French ships under Louis XVI that carried people into slavery in the Caribbean. More than one out of every four of these poor enslaved people died on the French ships. But in 1791, during the French Revolution, the people of Haiti fought for and won their freedom, and then fewer people from Mozambique were kidnapped to the sugar plantations. All through the 1800s the Mutapa rulers got weaker and their neighbors got stronger. As the Mutapa rulers lost control of the gold trade, the Portuguese finally defeated the last Mutapa ruler in 1917 and took control of all of Mozambique. A lot of Portuguese settlers started farms along the Zambezi river. These settlers took farmers’ land and then forced the people of Mozambique to work for them, just the way they were doing in Brazil at the same time. The settlers grew cotton, cashew nuts, tea, and rice. But, just like in Brazil, the settlers also married Mutapan people, so the two groups got more and more mixed. The Portuguese didn’t treat everyone equally: they arranged things so that through most of the 1900s mostly light-skinned people went to school and got good jobs, while dark-skinned people mostly couldn’t. The people of Mozambique started to fight for their independence in 1963 (as Botswanawas getting their independence), and they won full independence in 1975. 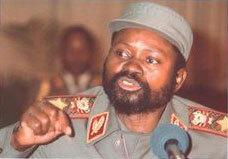 As in Kenya, the leader of revolution became Mozambique’s first elected ruler – that was Samora Moises Machel. Machel and his successor Joaquim Chissano tried to put in a socialist government, with a lot of government help for people, but the white government of South Africaencouraged and sent money for a second revolt against socialism. 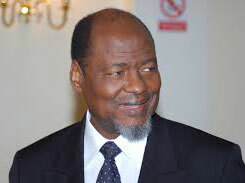 After a compromise in 1992, Chissano was re-elected. He made people in Mozambique much richer than they had been. In 2005, voters chose another freedom fighter, Armando Guebuza, and then in 2014 they elected Filipe Nyusi. Mozambique is doing much better, but still has not elected any leaders from the other side of the civil war. Cite this page: Carr, K.E. 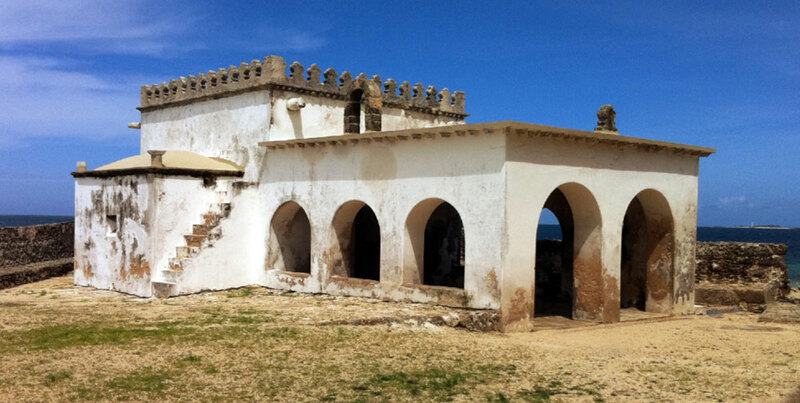 History of Mozambique – African History. Quatr.us Study Guides, May 24, 2017. Web. April 21, 2019.